We’ve been chosen as a Featured Brand on Storenvy! 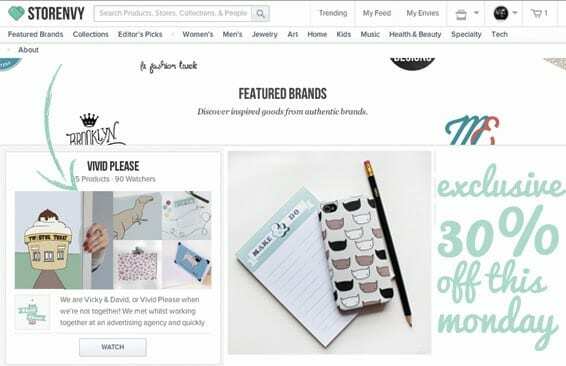 Out of hundreds and thousands of sellers on their online market place, we couldn’t believe our eyes when we got asked by their team to become one of their featured brands. How incredible is that? Much like Etsy, Storenvy is a market place where you can set up a shop amongst other makers. There’s much more clothing on Storenvy, but there is still a huge amount of incredible designers and inspirational shops to discover. With so much tough competition on the site, we never expected to make such an impact with their team! The Featured Brand section is brand new to the site, so we’re totally thrilled to get the opportunity to participate during the launch. It’s part of their first ever exclusive Black Friday – Cyber Monday market place sale where you can get 30% off trendy gifts picked out by the team. Whilst we’re running our own sale in our Etsy shop with the same discount, this is the only place you can get goodies like our iPhone cases for a fraction of the price! Woop woop! What an amazing weekend we’ve had with them too – it’s been such an honour to have our work shared through the site and we’ve gained so many lovely new fans and followers from it 😀 Thanks team! For those of you wanting to snap up some amazing deals, visit the Storenvy Exclusive Sale here. It’s also your last chance to get 30% off in our Etsy shop! All you need to do is enter the coupon code SANTA13 at the checkout to redeem your discount. We hope you’ve all had an amazing Black Friday – Cyber Monday weekend – we’ve bought quite a few goodies ourselves this year which has been a total treat! Keep your eye out for a ‘swag bag’ post coming shortly. . .
Elbows at the ready ladies – lets get those last minute deals! 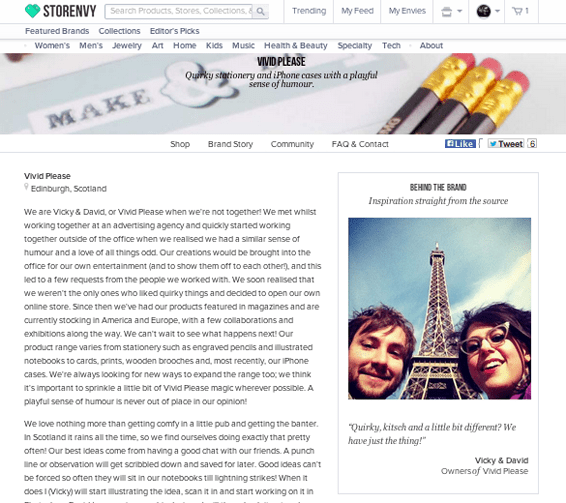 I adore Store Envy – congrats on the feature!